Just Today, many PUBG players has been reporting that they received a hammer banned from their account in PlayerUnknown’s Battlegrounds on Steam. Resulting to flood Reddit and Twitter PUBG page with complaints with unfair permanent banned. It seems they fix the error and one of the cause of the permanent banned is there anti-cheating system BattlEye made a mistakes on banning legit people because of an error from their code or either system. Just Today, many PUBG players has been reporting that they received a hammer banned from their account in PlayerUnknown's Battlegrounds on Steam. Resulting to flood Reddit and Twitter PUBG page with complaints with unfair permanent banned. Most of them received this banned message saying "You've been permanently banned in PLAYERUNKNOWN'S BATTLEGROUNDS by the game's developers. You can view your Steam account's In-Game Ban status and see a list of games affected by a specific ban by visiting ban history." However, PUBG Corp (Bluehole) immediately responded to the issue and made a fixed to their system "PC Players: We have identified and resolved the issue which caused a number of players to be banned in error. The removal of these bans is under way, but it may take up to 5 hours for all bans to be lifted. We apologise for any inconvenience caused by this error" It seems they fix the error and one of the cause of the permanent banned is there anti-cheating system BattlEye made a mistakes on banning legit people because of an error from their code or either system. 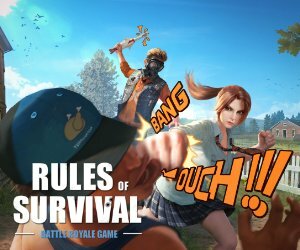 PlayerUnknown's BattleGrounds · PUBG · PUBG Corp.